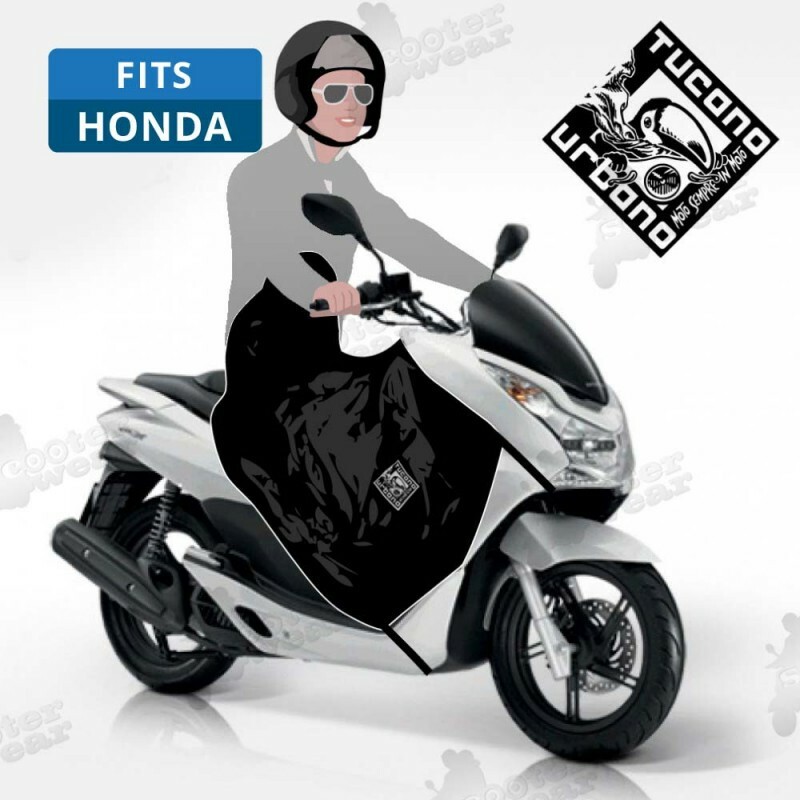 Tucano Urbano scooter leg covers are the Italian's best kept secret – also known as lap aprons or scooter skirts, the Termoscud is the original leg cover from the Italian manufacturer of quality scooter clothing and accessories. The three layer construction of the Termoscud leg cover ensures waterproofing and thermal protection to keep you dry and warm on your scooter. They also have a patented anti-flap inflatable system. There are inflatable chambers on the sides of the leg cover to make it more rigid and prevent flapping and lift at high speed. SAME DAY DISPATCH. Always in stock. ​*Next day delivery in the UK if order placed before 3.00pm.